Let’s say, for example, that you’re running a bakery or a flower store. Both of these businesses are great for promoting on Instagram since the products are very aesthetically pleasing. However, just snapping a quick pick of every cake or bouquet is not enough. 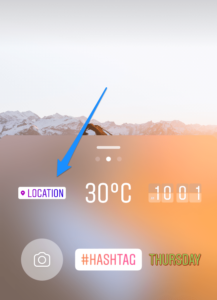 Your photos or videos have to stand out from hundreds of other similar pics from other accounts if you want to get on the Instagram Explore page. It is crucial that you learn rules for proper image composition, lighting, editing, etc. 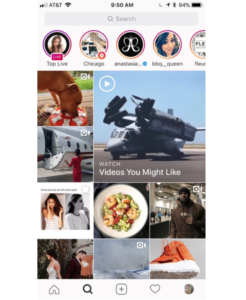 It also helps to post more unusual content, for instance, time lapses of cakes or bouquets being made or put together can get way more likes and comments than regular pics, increasing their chances of getting on the Explore page and going viral. 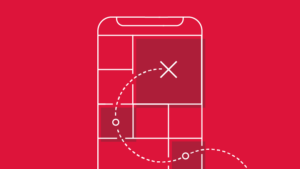 Having good captions under your pictures is crucial, in fact, the new Instagram algorithm update takes into account how long people spend looking at your photo and a good caption can increase that time significantly. Another great tip for getting your audience to engage more with your page is to call your followers to action in your IG caption: ask them a question, invite them to ask you something, create a poll about your latest product, promote your brand’s unique hashtag, or ask your followers to tag someone who might like a product that’s on sale - the possibilities for boosting your Instagram engagement are limitless. 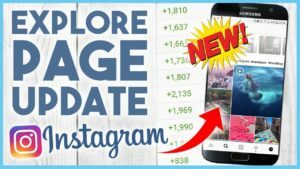 If you post a picture from a popular location, such as Brooklyn Bridge in New York, a cult favorite bar in Los Angeles or a luxurious resort in Bali, make sure you put a location tag on the pic - since lots of people search those locations on Instagram looking for gorgeous and interesting pics, you will likely get at least a few dozen extra likes or even follows by spending a few seconds to tag a location. Same goes for brands: if there is a person in the photo and he or she are wearing, say, a T-shirt from American Eagle, go ahead and tag the brand - of course, the chances of them seeing your pic and responding to it are quite small, but if they simply like your pic - it will get on the explore page of those who follow the brand and you can get hundreds, if not thousands of new likes and follows.